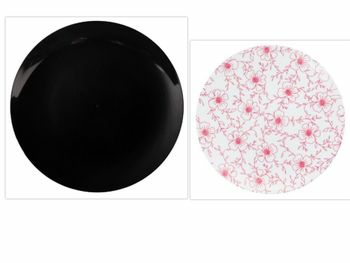 Flora Design Black 10.25" Plastic Dinner Plates, 10ct. Flora Design Burgundy Floral 8" Plastic Salad Plates, 10ct. Flora Design 24oz. White Plastic Bowls, 10ct.